For a limited time, promo code PERFECT will get you any three large pillar candles for the price of one. Just pick out your candles, and apply the code at checkout. You can stack the deal as many times as you’d like, so go ahead and grab a dozen or so fall and winter scents. 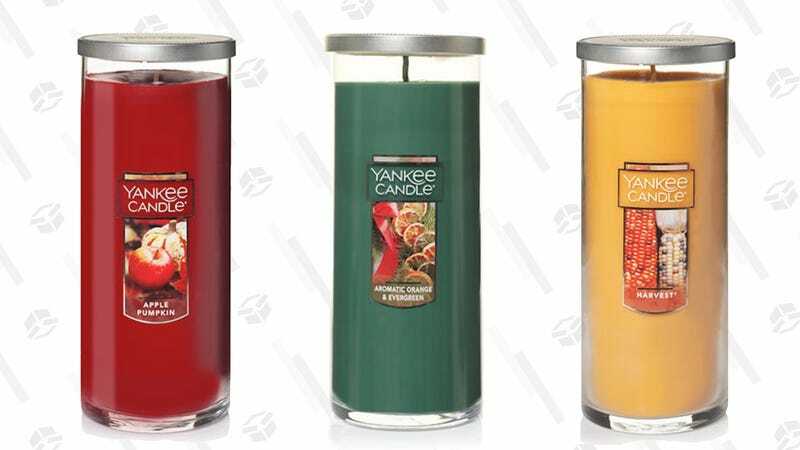 These candles burn for 125-165 hours each, so at these prices, they’re a terrific value.